Construction was halted on the 80-story building when developer Silverstein Properties was unable to procure funding. However, a deal announced Wednesday (June 25) by the Port Authority of New York and New Jersey will allow the $2.3 billion, 2.5 million-square-foot project to move forward. 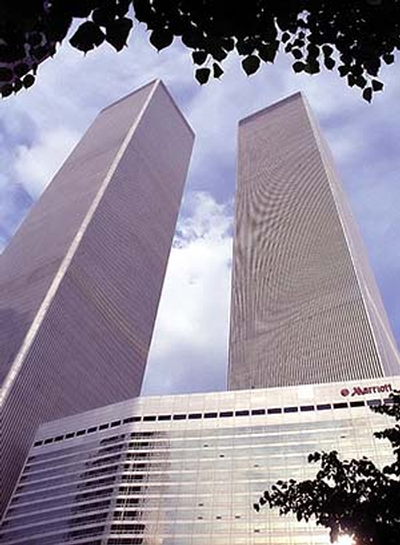 Topped with a Marriott sign, 3 World Trade Center (left, in May 2001) stood adjacent to the Twin Towers. Construction of its replacement (rendering at right) is reportedly back on track for 2018. Construction of the 80-story tower was halted at eight floors in 2012. 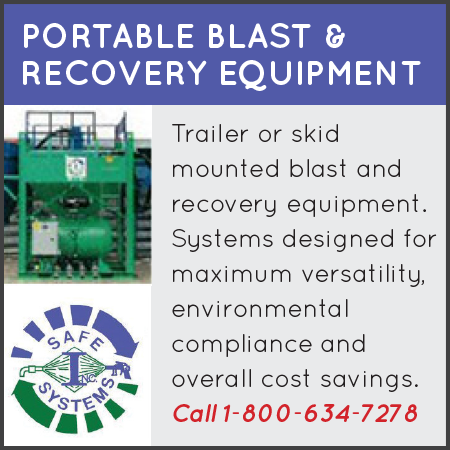 At issue were the level of public funding for the project and the Port Authority's role in it. The sharply divided Port Authority twice postponed action on the funding issue, most recently in April, the New York Times reported in an article detailing the standoff. Now, however, the Authority's Board of Commissioners have approved a modification to a 2010 financial agreement that increases private investment for the project. 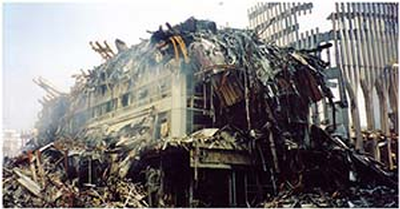 The agreement green-lights the use of $159 million in previously escrowed insurance proceeds from the Sept. 11 attacks for construction. "Today's action, which frees up a portion of our insurance proceeds to be used for the construction of 3 WTC, permits us to immediately jumpstart vertical construction, employ 3,000 construction workers and stay on target for an early 2018 completion," developer Larry Silverstein told the Associated Press in an email. The release of the insurance money minimizes Silverstein Properties’ amount of senior debt to levels that allow it to move forward with construction under current market conditions, authorities said. 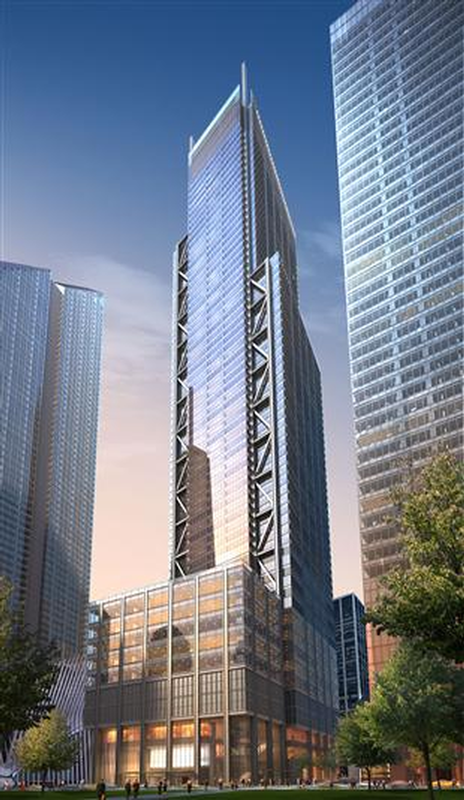 Construction on 3 World Trade Center is expected to resume in the fall. To construct the tower, the company expects to raise $300 million in mezzanine debt, private equity, or a combination of the two, as well as $1.2 billion in senior fixed-rate bonds. The remainder of the capital contribution includes $463 million in insurance proceeds, and $210 million in state and city funding. Overall, the modified agreement allows immediate construction of 3 World Trade Center and provides hundreds of millions of dollars in accelerated and incremental revenue. "Today's agreement approved by the Board of Commissioners minimizes the Port Authority's financial risk and increases private-sector participation in the World Trade Center site," said Port Authority Executive Director Pat Foye. "The modified financial agreement is consistent with the objective we have had over the last two years to ensure financial discipline and improve the Port Authority's financial standing." 3 World Trade Center was destroyed in the attacks of Sept. 11, 2001. The agreement also ensures that media company GroupM, a 515,000-square-foot anchor tenant of the new building, moves to the World Trade Center site. According to Crain's, the media company has the right to cancel its lease in July if the project funding appears in danger of falling through. 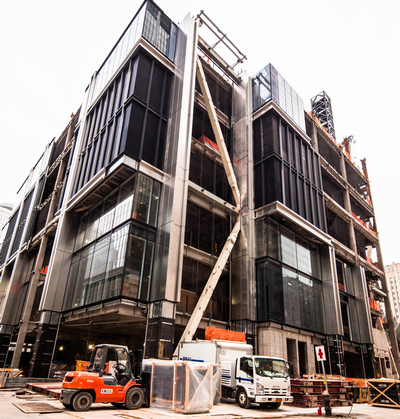 Construction is expected to resume in the third quarter of 2014, with building completion set for 2018.